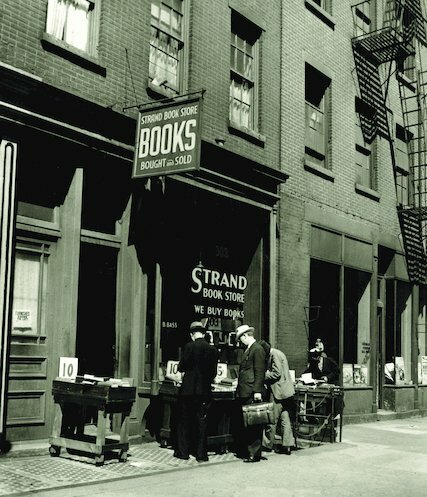 For Strand Bookstore fans via the NY Times and Shelf-Awareness… a history of a bookstore, a book lover, and, news that the legacy continues thru three generations, thank goodness. “Longtime owner of The Strand bookstore Fred Bass, 89, died on Wednesday(January 3) at home in Manhattan of congestive heart failure. He started working at the store, founded by his father, when he was 13, and just retired last November. During that time, he oversaw the store’s significant growth from its original home on Fourth Street with 70,000 volumes to “the largest used-book store in the world” on Broadway — where he bought the store’s building for $8.2 million in 1997 — with millions of volumes and a storage warehouse in Brooklyn. “The NYT quotes a remark Bass made to New York Magazine in 1977: “It’s a disease. I get an attack, something like a panic, of book-buying. I simply must keep fresh used books flowing over my shelves. And every day the clerks weed out the unsalable stuff from the shelves and bins and we throw it out. Tons of dead books go out nightly. And I bought ’em. But I just have to make room for fresh stock to keep the shelves lively.” His daughter Nancy Bass Wyden now owns the store.